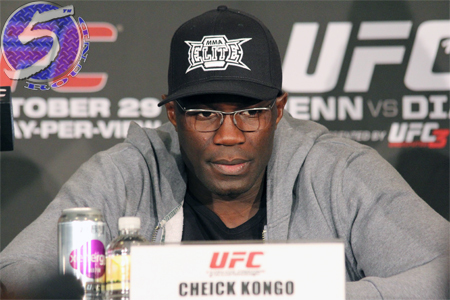 On Friday, it was announced former UFC veteran Cheick Kongo (pictured) will challenge undefeated Bellator heavyweight champion Vitaly Minakov for his crown at Bellator 115. The April 4 event takes place inside Nevada’s Reno Events Center. Minakov owns a perfect 13-0 professional record, with his last seven wins coming via some form of knockout. The 28-year-old captured the belt by beating Alexander Volkov in November. Kongo earned his crack at the crown by winning Bellator’s Season 9 Heavyweight Tournament. He posted a unanimous decision victory over Peter Graham in November to secure his spot. Spike TV will broadcast the main card at 9PM ET/PT.